Buy Natures Aid Evening Primrose Oil 1000mg - 90 capsules in the UK from our online shop or directly from our independent Scottish store. Evening Primrose Oil is a rich, natural source of the unsaturated omega-6. Evening Primrose Oil is a rich, natural source of the unsaturated omega-6 essential fatty acid - gamma linolenic acid (GLA). Take 1-2 capsule per day with food or as required up to a maximum of 6. Do not exceed the recommended intake. Where can you buy real Evening Primrose Oil 1000mg 90's safely online? 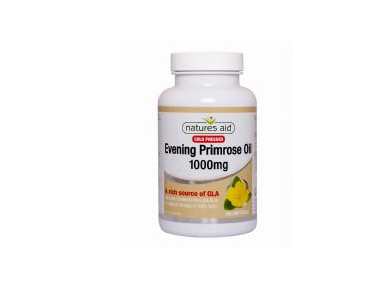 If you are wondering where you can buy Natures Aid Evening Primrose Oil 1000mg - 90 capsules safely online in the UK, then shop with us. Evening Primrose Oil 1000mg 90's - Natures Aid Evening Primrose Oil 1000mg - 90 capsules in Fatty Acids & Omega and Herbal Remedies, Tinctures & Supplements.